In 2000 we decided to get a new lawn mower. We had to decide if we wanted to purchase a normal gas powered mower or if we wanted to pay a little more and purchase an electric mower. We had heard good things about the Black and Decker CMM1000, but the price of $499.00 made us wonder if the extra money would be worth it. We decided to go ahead and take the plunge and purchase the mower. We have had this mower now 8 years and other than the 2 recall repairs done on this mower, we have not had any problems with it. We love the fact that the only maintenance needed is the cleaning of the machine, which we only do once a year. We replaced the blade this year when we sent it off for a recall repair, but that was our choice since our son had run over a large rock with the mower and took a chunk of the blade off. The mower charges nicely and we can mow our entire lawn on one charge. We have used both the mulching function and the bagging function and they both work very well, but we prefer the mulching if the grass is dry. If the grass is wet, this mower does not handle as well and will bog down. The mower starts by flipping a switch and runs very quiet. When you are done mowing, you just plug in the charging cable to the mower and then leave it until you are ready to mow again. 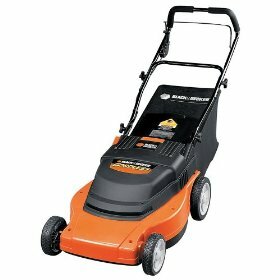 I would recommend this mower. Its very nice to not worry about getting gas, oil, or having the maintenance issues. It runs quiet, and it is a breeze to use.